August 2012: Schaefer traveled to the North Slope of Alaska to collect permafrost cores and perform active layer surveys. July 2012: Schaefer published a paper in Nature Geoscience showing reduced carbon uptake during the 2000-4 drought in the western North America. The drought was the worst in 800 years and is expected to the dry end of a new mega-drought in the western United States (Schwalm et al., 2012). We are currently quantifying the strength, timing, and dynamics of the permafrost carbon feedback. The permafrost carbon feedback is an amplification of surface warming from anthropogenic greenhouse emissions due to the release of CO2 and methane from thawing permafrost. We are developing new remote sensing techniques to measure active layer thick-ness from space. Currently, the only way to measure active layer thickness is to go into the field and directly measure it using a metal probe. We are exploring ways to improve the representation of various biogeochemical and physical processes in terrestrial biosphere models. We are organizing several Model Intercomparison Projects (MIPs) to compare model output against observations to identify the key model parameters or structures that drive model performance. 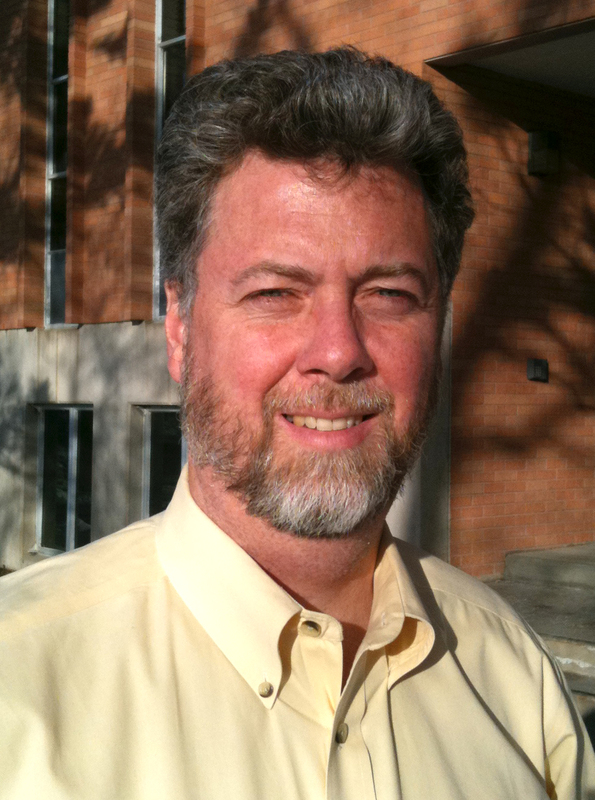 Schaefer is lead organizer of the North American Carbon Program (NACP) Site Synthesis. We are comparing simulated carbon fluxes from 21 models against observed carbon fluxes at 44 eddy covariance flux towers. Crowell, S. M. R., S. R. Kawa, E. V. Browell, D. M. Hammerling, B. Moore, K. Schaefer, and S. C. Doney. 2018. On the ability of space-based passive and active remote sensing observations of CO2 to detect flux perturbations to the carbon cycle. Journal of Geophysical Research: Atmospheres 123(2), doi:10.1002/2017JD027836. Fisher, J. B., D. J. Hayes, C. R. Schwalm, D. N. Huntzinger, E. Stofferahn, K. Schaefer, Y. Luo, S. D. Wullschleger, S. Goetz, et al. 2018. Missing pieces to modeling the Arctic-boreal puzzle. Environmental Research Letters 13, doi:10.1088/1748-9326/aa9d9a. Hu, Y., L. Liu, K. M. Larson, K. M. Schaeer, J. Zhang, and Y. Yao. 2018. GPS interferometric Reflectometry reveals cyclic elevation changes in thaw and freezing seasons in a permafrost area (Barrow, Alaska). Geophysical Research Letters 45(11), doi:10.1029/2018GL077960. Jafarov, E. E., A. D. Parsekian, K. Schaefer, L. Liu, A. C. Chen, S. K. Panda, and T. Zhang. 2018. Estimating active layer thickness and volumetric water content from ground penetrating radar measurements in Barrow, Alaska. Geoscience Data Journal 4(2), doi:10.1002/gdj3.49. McGuire, A. D., D. M. Lawrence, C. Koven, J. S. Clein, E. Burke, et al. (including K. Schaefer). 2018. Dependence of the evolution of carbon dynamics in the northern permafrost region on the trajectory of climate change. Proceedings of the National Academy of Sciences of the United States of America, doi:10.1073/pnas.1719903115. Overeem, I., E. Jafarov, K. Wang, K. Schaefer, S. Stewart, G. Clow, M. Piper, and Y. Elshorbany. 2018. A modeling toolbox for permafrost landscapes. EOS, 99, doi:10.1029/2018EO105155. Peters, W., I. R. van der Velde, E. van Schaik, J. B. Miller, et al. (including K. Schaefer). 2018. Increased water-use efficiency and reduced CO2 update by plants during droughts at a continental scale. Nature Geoscience 22: 744-748, doi:10.1038/s41561-018-0212-7. Schuster, P. F., K. M. Schaefer, G. R. Aiken, R. C. Antweiler, et al. 2018. Permafrost stores a globally significant amount of mercury. Geophysical Research Letters 45(3), doi:10.1002/2017GL075571. van der Velde, I. R., J. B. Miller, M. K. van der Molen, P. P. Tans, B. H. Vaughn, J. W. C. White, K. Schaefer, and W. Peters. 2018. The CarbonTracker Data Assimilation System for CO2 and δ13C (CTDAS-13 v1.0): retrieving information on land-atmosphere exchange processes. Geoscientific Model Development 11(1): 283-304, doi:10.5194/gmd-11-283-2018. Huntzinger, D. N., A. M. Michalak, C. Schwalm, et al. (including K. Schaefer). 2017. Uncertainty in the response of terrestrial carbon sink to environmental drivers undermines carbon-climate feedback predictions. Scientific Reports 7, 4765. doi:10.1038/s41598-017-03818-2. Kim, J. S., J. S. Kug, S. J. Jeong, D. N. Huntzinger, A. M. Michalak, C. R. Schwalm, Y. X. Wei, and K. Schaefer. 2017. Reduced North American terrestrial primary productivity linked to anomalous Arctic warming. Nature Geoscience 10 (8): 572. doi:10.1038/NGEO2986. Rollinson, C. R., Y. Liu, A. Raiho, D. J. P. Moore, J. McLachlan, D. A. Bishop, A. Dye, J. H. Matthes, A. Hessl, T. Hickler, N. Pederson, B. Poulter, T. Quaife, K. Schaefer, J. Steinkamp, and M. C. Dietze. 2017. Emergent climate and CO2 sensitivities of net primary productivity in ecosystem models do not agree with empirical data in temperate forests of eastern North America. Global Change Biology 23(7): 2,755-2,767. doi:10.1111/gcb.13626. Schwalm, C. R., W. R. L. Anderegg, A. M. Michalak, J. B. Fisher, F. Biondi, G. Koch, M. Litvak, K. Ogle, J. D. Shaw, A. Wolf, D. N. Huntzinger, K. Schaefer, R. Cook, Y. X. Wei, Y. Y. Fang, D. Hayes, M. Y. Huang, A. Jain, and H. Q. Tian. 2017. Global patterns of drought recovery. Nature 548: 202-205. doi:10.1038/nature23021. Van der Velde, I. R., J. B. Miller, M. K. van der Molen, P. P. Tans, B. H. Vaughn, J. B. White, K. Schaefer, and W. Peters. 2017. A multi-species data assimilation system to retrieve information on land-atmosphere exchange processes. Geoscience Model Development. doi:10.5194/gmd-2017-84. Abbott, B. W., J. B Jones, E. A. G Schuur, F. S. Chapin, W. B. Bowden, M. S. Bret-Harte, H. E. Epstein, M. D. Flannigan, et al (including K. Schaefer). 2016. Biomass offsets little or none of permafrost carbon release from soils, streams, and wildfire: an expert assessment. Environmental Research Letters 11(3). doi:10.1088/1748-9326/11/3/034014. Chen, A., A. D Parsekian, K. Schaefer, E. Jafarov, S. Panda, L. Liu, T. J. Zhang, and H. Zebker. 2016. Ground-penetrating radar-derived measurements of active-layer thickness on the landscape scale with sparse calibration at Toolik and Happy Valley, Alaska. Geophysics 81(2): H9-H19. doi:10.1190/GEO2015-0124.1. Hope, C., and K. Schaefer. 2016. Economic impacts of carbon dioxide and methane released from thawing permafrost. Nature Climate Change 6: 56-59. doi:10.1038/NCLIMATE2807. Ito, A., M. Inatomi, D. N. Huntzinger, et al. (including K. Schaefer). 2016. Decadal trends in the seasonal-cycle amplitude of terrestrial CO2 exchange resulting from the ensemble of terrestrial biosphere models. Tellus B: Chemical and Physical Meteorology 68(1), 28968. doi:10.3402/tellusb.v68.28968. Jafarov, E., and K. Schaefer. 2016. The importance of a surface organic layer in simulating permafrost thermal and carbon dynamics. The Cryosphere 10(1): 465-475. doi:10.5194/tc-10-465-2016. Lokupitiya, E., A. S. Denning, K. Schaefer, et al. 2016. Carbon and energy fluxes in cropland ecosystems: a model-data comparison. Biogeochemistry 129: 53-76. doi:10.1007/s10533-016-0219-3. McGuire, AD, C Koven, DM Lawrence, et al. (including K. Schaefer). 2016. Variability in the sensitivity among model simulations of permafrost and carbon dynamics in the permafrost region between 1960 and 2009. Global Biogeochemical Cycles 30(7): 1,015-1,037. doi:10.1002/2016GB005405. Schaefer, K., and E. Jafarov. 2016. A parameterization of respiration in frozen soils based on substrate availability. Biogeosciences 13(7): 1,991-2,001. doi:10.5194/bg-13-1991-2016. Gusmeroli, A., L. Liu, K. Schaefer, T. J. Zhang, T. Schaefer, and G. Grosse. 2015. Active layer stratigraphy and organic layer thickness at a thermokarst site in Arctic Alaska identified using ground penetrating radar. Arctic, Antarctic, and Alpine Research 47(2): 195-202, doi:10.1657/AAAR00C-13-301. Hammerling, D. M., S. R. Kawa, K. Schaefer, S. Doney, and A. M. Michalak. 2015. Detectability of CO2 flux signals by a space-based lidar mission. Journal of Geophysical Research Atmospheres 120(5): 1,794-1,807, doi:10.1002/2014JD022483. Jafarov E., and K. Schaefer. 2015. The importance of a surface organic layer in simulating permafrost thermal and carbon dynamics. The Cryosphere Discussions 9(3): 3,137-3,163, doi:10.5194/tcd-9-3137-2015. Koven, C. D., E. A. G. Schuur, C. Schädel, T. J. Bohn, E. J. Burke, G. Chen, X. Chen, P. Ciais, G. Grosse, J. W. Harden, D. J. Hayes, G. Hugelius, E. E. Jafarov, et al. (including K. Schaefer). 2015. A simplified, data-constrained approach to estimate the permafrost carbon-climate feedback. Philosophical Transactions of the Royal Society A 373: 20140423, doi:10.1098/rsta.2014.0423. Schaefer, K., and E. Jafarov. 2015. A parameterization of respiration in frozen soils based on substrate availability. Biogeosciences Discussions 12: 12,207-12,059, doi:10.5194/bgd-12-12027-2015. Schaefer, K., L. Liu, A. Parsekian, E. Jafarov, A. Chen, T. J. Zhang, A. Gusmeroli, S. Panda, H. A. Zebker, and T. Schaefer. 2015. Remotely sensed active layer thickness (ReSALT) at Barrow, Alaska using interferometric synthetic aperture radar. Remote Sensing 7(4): 3,735-3,759, doi:10.3390/rs70403735. Schuur, E. A. G., A. D. McGuire, C. Schadel, G. Grosse, J. W. Harden, D. J. Hayes, G. Hugelius, C. D. Koven, P. Kuhry, D. M. Lawrence, S. M. Natali, D. Olefeldt, V. E. Romanovsky, K. Schaefer, M. R. Turetsky, C. C. Treat, and J. E. Vonk. 2015. Climate change and the permafrost carbon feedback. Nature 520(7546): 171-179, doi:10.1038/nature14338. Schwalm, C. R., D. N. Huntzinger, J. B. Fisher, A. M. Michalak, K. Bowman, P. Ciais, R. Cook, B. El-Masri, D. Hayes, M. Y. Huang, A. Ito, et al. (including K. Schaefer). 2015. Toward "optimal" integration of terrestrial biosphere models. Geophysical Research Letters 42(11): 4,418-4,428, doi:10.1002/2015GL064002. Tian, H. Q., C. Q. Lu, J. Yang, K. Banger, D. N. Huntzinger, C. R. Schwalm, A. M. Michalak, R. Cook, P. Ciais, D. Hayes, M. Y. Huang, A. Ito, et al. (including K. Schaefer). 2015 Global patterns and controls of soil organic carbon dynamics as simulated by multiple terrestrial biosphere models: Current status and future directions. Global Biogeochemical Cycles 29(6): 775-792, doi:10.1002/2014GB005021. Christoffersen, B. O., N. Restrepo-Coupe, et al. (including K. Schaefer). 2014. Mechanisms of water supply and vegetation demand govern the seasonality and magnitude of evapotranspiration in Amazonia and Cerrado. Agricultural and Forest Meteorology 191: 33-50, doi:10.1016/j.agrformet.2014.02.008. Fisher, J. B., M. Sikka, et al. (including K. Schaefer). 2014. Carbon cycle uncertainty in the Alaskan Arctic. Biogeosciences 11(15): 4,271-4,288, doi:10.5194/bg-11-4271-2014. Liu, L., K. Schaefer, A. Gusmeroli, G. Grosse, B. M. Jones, T. Zhang, A. D. Parsekian, and H. A. Zebker. 2014. Seasonal thaw settlement at drained thermokarst lake basins, Arctic Alaska. Cryosphere 8(3): 815-826, doi:10.5194/tc-8-815-2014. Mu, C. C., T. J. Zhang, P. F. Schuster, K. Schaefer, K. P. Wickland, D. A. Repert, L. Liu, T. Schaefer, and G. D. Cheng. 2014. Carbon and geochemical properties of cryosols on the North Slope of Alaska. Cold Regions Science and Technology 100: 59-67, doi:10.1016/j.coldregions.2014.01.001. Schaefer, K., H. Lantuit, V. E. Romanovsky, E. A. G. Schuur, and R. Witt. 2014. The impact of the permafrost carbon feedback on global climate. Environmental Research Letters 9(8), doi:10.1088/1748-9326/9/8/085003. Gonçalves de Gonçalves, L. G., J. S. Borak, M. H. Costa, et al. (including K. Schaefer). 2013. Overview of the Large-Scale Biosphere-Atmosphere Experiment in Amazonia Data Model Intercomparison Project (LBA-DMIP). Agricultural and Forest Meteorology 182-183: 111-127, doi:10.1016/j.agrformet.2013.04.030. Liu, L., K. Schaefer, A. Gusmeroli, G. Grosse, B. M. Jones, T. Zhang, A. D. Parsekian, and H. A. Zebker. 2013. Seasonal thaw settlement at drained thermokarst lake basins, Arctic Alaska. The Cryosphere Discussions 7: 5,793-5822, doi:10.5194/tcd-7-5793-2013. Liu, S., Y. Wei, W. M. Post, R. B. Cook, K. Schaefer, and M. M. Thornton. 2013. The Unified North American Soil Map and its implications on the soil organic carbon stock in North America. Biogeosciences, doi:10.5194/bg-10-2915-2013. Huntzinger, D. N., C. Schwalm, A. M. Michalak, K. Schaefer, et al. 2013. The North American Carbon Program Multi-scale synthesis and Terrestrial Model Intercomparison Project - Part 1: Overview and experimental design. 2013. Geoscientific Model Development Discussions 6: 3,977-4,008, doi:10.5194/gmdd-6-3977-2013. Mishra, U., J. D. Jastrow, G. Hugelius, et al. (including K. Schaefer). 2013. Empirical estimates to reduce modeling uncertainties of soil organic carbon in permafrost regions: a review of recent progress and remaining challenges. Environmental Research Letters 8(3), doi:10.1088/1748-9326/8/3/035020. Raczka, B. M, K. J. Davis, D. N. Huntzinger, et al. (including K. Schaefer). 2013. Evaluation of continental carbon cycle simulations with North American flux tower observations. Ecological Monographs, doi:10.1890/12-0893.1. Schuur, E. A. G., B. W. Abbott, et al. (including K. Schaefer). 2013. Expert assessment of vulnerability of permafrost carbon to climate change. Climate Change 119(2): 359-374, doi:10.1007/s10584-013-0730-7. Stoy, P. C., M. Dietze, A. D. Richardson, et al. (including K. Schaefer). 2013. Evaluating the agreement between measurements and models of net ecosystem exchange at different times and time scales using wavelet coherence: an example using data from the North American Carbon Program Site-Level Interim Synthesis. Biogeosciences Discussions 10(2): 3,039-3,077, doi:10.5194/bg-10-2915-2013. van der Velde, I. R., J. B. Miller, K. Schaefer, K. A. Masarie, S. Denning, J. W. C. White, P. P. Tans, M. C. Krol, and W. Peters. 2013. Biosphere model simulations of interannual variability in terrestrial 13C/12C exchange. Global Biogeochemical Cycles 27(3): 637-649, doi:10.1002/gbc.20048. von Randow, C., M. Zeri, et al. (including K. Schaefer). 2013. Inter-annual variability of carbon and water fluxes in Amazonian forest, Cerrado and pasture sites, as simulated by terrestrial biosphere models. Agricultural and Forest Meteorology 182: 145-155, doi:10.1016/j.agrformet.2013.05.015. DeConto, R. M., S. Galeotti, M. Pagani, D. Tracy, K. Schaefer, T. J. Zhang, D. Pollard, and D. J. Beerling. 2012. Past extreme warming events linked to massive carbon release from thawing permafrost. Nature 484(7392), doi:10.1038/nature10929. Keenan, T. F., I. Baker, A. Barr, P. Ciais, K. Davis, M. Dietze, D. Dragon, C. M. Gough, R. Grant, D. Hollinger, K. Hufkens, B. Poulter, H. Mccaughey, B. Raczka, Y. Ryu, K. Schaefer, H. Q. Tian, H. Verbeeck, M. S. Zhao, and A. D. Richardson. 2012. Terrestrial biosphere model performance for inter-annual variability of land-atmosphere CO2 exchange. Global Change Biology 18(6): 1971-1987, doi:10.1111/j.1365-2486.2012.02678.x. Liu, L., K. Schaefer, T. J. Zhang, and J. Wahr. 2012 Estimating 1992-2000 average active layer thickness on the Alaskan North Slope from remotely sensed surface subsidence. Journal of Geophysical Research - Earth Surface 117, F01005, doi:10.1029/2011JF002041. Richardson, A. D., R. S. Anderson, M. A. Arain, A. G. Barr, G. Bohrer, G. S. Chen, J. M. Chen, P. Ciais, K. J. Davis, A. R. Desai, M. C. Dietze, D. Dragoni, S. R. Garrity, C. M. Gough, R. Grant, D. Y. Hollinger, H. A. Margolis, H. McCaughey, M. Migliavacca, R. K. Monson, J. W. Munger, B. Poulter, B M. Raczka, D. M. Ricciuto, A. K. Sahoo, K. Schaefer, H. Q. Tian, R. Vargas, H. Verbeeck, J. F. Xiao, and Y K. Xue. 2012. Terrestrial biosphere models need better representation of vegetation phenology: results from the North American Carbon Program Site Synthesis. Global Change Biology 18(2): 566-584, doi:10.1111/j.1365-2486.2011.02562.x. Schaefer, K., C. R. Schwalm, C. Williams, M. A. Arain, A. Barr, J. M. Chen, K .J Davis, D. Dimitrov, T. W. Hilton, D. Y. Hollinger, E. Humphreys, B. Poulter, B. M. Raczka, A. D. Richardson, A. Sahoo, P. Thornton, R. Vargas, H. Verbeeck, R. Anderson, I. Baker, T. A. Black, P. Bolstad, J. Q. Chen, P. S. Curtis, A. R. Desai, M. Dietze, D. Dragoni, C. Gough, R. F. Grant, L. H. Gu, A. Jain, C. Kucharik, B. Law, S. G. Liu, E. Lokipitiya, H. A. Margolis, R. Matamala, J. H. McCaughey, R. Monson, J. W. Munger, W. Oechel, C. H. Peng, D. T. Price, D. Ricciuto, W.J Riley, N. Roulet, H. Q. Tian, C. Tonitto, M. Torn, E. S. Weng, and X. L. Zhou. 2012. A model-data comparison of gross primary productivity: Results from the North American Carbon Program site synthesis. Journal of Geophysical Research - Biogeosciences 117, G03010, doi:10.1029/2012JG001960. Schwalm, C. R., C. A. Williams, K. Schaefer, D. Baldocchi, T. A. Black, A. H. Goldstein, B. E. Law, W. C. Oechel, T. P. U. Kyaw, and R. L. Scott. 2012. Reduction in carbon uptake during turn of the century drought in western North America. Nature Geoscience 5 (8) 551-556, doi:10.1038/NGEO1529. Sulman, B. N., A. R. Desai, N. M. Schroeder, D. Ricciuto, A. Barr, A. D. Richardson, L. B. Flanagan, P. M. Lafleur, H. Q. Tian, G. S. Chen, R. F. Grant, B. Poulter, H. Verbeeck, P. Ciais, B. Ringeval, I. T. Baker, K. Schaefer, Y. Q. Luo, and E. S. Weng. 2012. Impact of hydrological variations on modeling of peatland CO2 fluxes: Results from the North American Carbon Program site synthesis. Journal of Geophysical Research - Biogeosciences 117, G01031, doi:10.1029/2011JG001862. Williams, C. A, M. Reichstein, N. Buchmann, D. Baldocchi, C. Beer, C. Schwalm, G. Wohlfahrt, N. Hasler, C. Bernhofer, T. Foken, D. Papale, S. Schymanski, and K. Schaefer. 2012. Climate and vegetation controls on the surface water balance: Synthesis of evapotranspiration measured across a global network of flux towers. Water Resources Research 48, W06523, doi:10.1029/2011WR011586. Dietze, M. C., R. Vargas, A. D. Richardson, P. C. Stoy, A. G. Barr, R. S. Anderson, M. A. Arain, I. T. Baker, T. A. Black, J. M. Chen, P. Ciais, L. B. Flanagan, C. M. Gough, R. F. Grant, D. Hollinger, R. C. Izaurralde, C. J. Kucharik, P. Lafleur, S. G. Liu, E. Lokupitiya, Y. Q. Luo, J. W. Munger, C. H. Peng, B. Poulter, D. T. Price, D. M. Ricciuto, W. J. Riley, A. K. Sahoo, K. Schaefer, A. E. Suyker, H. Q. Tian, C. Tonitto, H. Verbeeck, S. B. Verma, W. F. Wang, and E. S. Weng. 2011. Characterizing the performance of ecosystem models across time scales: A spectral analysis of the North American Carbon Program site-level synthesis. Journal of Geophysical Research - Biogeosciences 116, G04029, doi:10.1029/2011JG001661. Schaefer, K., T. J. Zhang, L. Bruhwiler, and A. P. Barrett. 2011. Amount and timing of permafrost carbon release in response to climate warming. Tellus 63(2): 165-180, doi:10.1111/j.1600-0889.2011.00527.x. Schwalm, C. R., C. A. Williams, and K. Schaefer. 2011. Carbon consequences of global hydrologic change, 1948-2009. Journal of Geophysical Research - Biogeosciences 116, G03042, doi:10.1029/2011JG001674. Schwalm, C. R., C. A. Williams, K. Schaefer, I. Baker, G. J. Collatz, and C. Rodenbeck. 2011. Does terrestrial drought explain global CO2 flux anomalies induced by El Nino? Biogeosciences 8(9): 2,493-2,506, doi:10.5194/bg-8-2493-2011. Peters, W., M. C. Krol, G. R. van der Werf, S. Houweling, C. D. Jones, J. Hughes, K. Schaefer, et al. 2010. Seven years of recent European net terrestrial carbon dioxide exchange constrained by atmospheric observations. Global Change Biology 16(4): 1,317-1,337, doi:10.1111/j.1365-2486.2009.02078.x. Schwalm, C. R., C. A. Williams, K. Schaefer, et al. 2010. Assimilation exceeds respiration sensitivity to drought: A FLUXNET synthesis. Global Change Biology 16(2): 657-670, doi:10.1111/j.1365-2486.2009.01991.x. Lokupitiya, E. S. Denning, K. Paustian, I. Baker, K. Schaefer, S. Verma, T. Meyers, C. J. Bernacchi, A. Suyker, and M. Fischer. 2009. Incorporation of crop phenology in simple Biosphere Model (SiBcrop) to improve land-atmosphere carbon exchanges from croplands. Biogeosciences (6): 969-986. Schaefer, K., T. Zhang, A. G. Slater, L. Lu, A. Etringer, and I. Baker. 2009. Improving simulated soil temperatures and soil freeze/thaw at high-latitude regions in the Simple Biosphere/Carnegie-Ames-Stanford Approach model. Journal of Geophysical Research 114, F02021, doi:10.1029/2008JF001125. Schaefer, K., G. J. Collatz, P. Tans, A. S. Denning, I. Baker, J. Berry, L. Prihodko, N. Suits, and A. Philpott. 2008. Combined Simple Biosphere/Carnegie-Ames-Stanford Approach terrestrial carbon cycle model. Journal of Geophysical Research 113, G03034, doi:10.1029/2007JG000603. Schaefer, K., T. Zhang, P. P. Tans, and R. Stöckli. 2007. Temperature anomaly reemergence in seasonally frozen soils. Journal of Geophysical Research 12, D20102, doi:10.1029/2007JD008630. Schaefer, K., A. S. Denning, and O. Leonard. 2005. The winter Arctic Oscillation, the timing of spring, and carbon fluxes in the Northern Hemisphere. Global Biogeochemical Cycles 19, GB3017, doi:10.1029/2004GB002336. Schaefer K., A. S. Denning, and O. Leonard. 2004. The winter Arctic Oscillation and the timing of snowmelt in Europe. Geophysical Research Letters 31(22), L22205. McNoldy, B., A. Chen, Z. Eitzen, R. Moore, J. Persing, K. Schaefer, and W. Schubert. 2003. Design and construction of an affordable rotating table for classroom demonstrations of geophysical fluid dynamics principles. Bulletin of the American Meteorological Society 84(12): 1,827-1,834, doi:10.1175/BAMS-84-12-1827. Schaefer, K., A. S. Denning, N. Suits, J. Kaduk, I. Baker, S. Los, and L. Prihodko. 2002. Effect of climate on interannual variability of terrestrial CO2 fluxes. Global Biogeochemical Cycles 16(4), doi:10.1029/2002GB001928. Search for more articles by Kevin Schaefer in Google Scholar.